Inventory We are a resale marketplace, not a box office or venue. Ticket prices may exceed face value. This site is not owned by Queen Elizabeth Theatre . The Queen Elizabeth Theatre Vancouver has long been a favorite venue of fans seeking entertainment that is not sports related. The Queen Elizabeth Theatre is the premier venue for plays, musicals and other stage performances in Vancouver. In years past the Elizabeth Theatre has hosted some of the biggest and best broadway traveling shows and every year going forward should be the same. The Queen Elizabeth Theatre is a performing arts venue in downtown Vancouver, British Columbia, Canada. 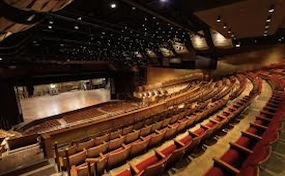 Along with the Orpheum and the Vancouver Playhouse, it is one of three facilities operated by the Vancouver Civic Theatres Department (the Playhouse adjoins the QE Theatre in the same complex. TheaterVancouver.com is not a primary vendor, supplier, or affiliated with any official website. We proudly provide access to a large supply and low prices online for all secondary market events. Ticket prices may be well below or above face value and will fluctuate with the market. To purchase tickets for all Queen Elizabeth Theatre Events simply click on the show of interest or call our operators at anytime.